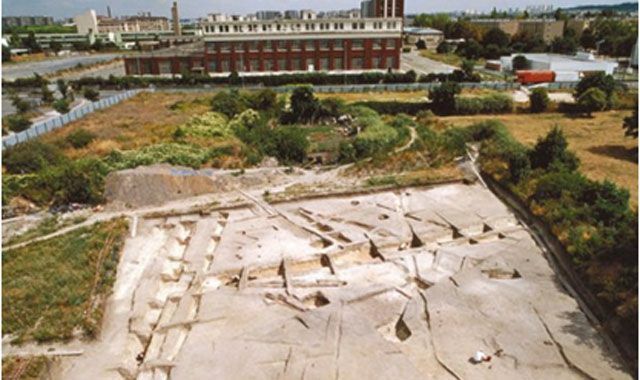 Barcelona, Tuesday 14th of June 2016 – Many are those who remember a construction site that remained stalled for a certain time due to the discovery of archaeological remains. The point of view of the majority of the participants in a construction project is constituted of these negative experiences. From Top Management we would like to offer a different point of view: a preventive archaeological study should form part of the common evaluation procedure of a piece of land as are the geotechnical study and the topographical study since it can represent a significant money and time savings. 1.- Consult the archaeological and paleontological map of the area. 2.- Analyse the current bibliography concerning archaeological or paleontological research work in the area. 3.- Superimpose our construction project with the geological, historical and photographic maps of the area. At this point we might already have a positive diagnosis, that is, the piece of land presents a high probability of containing archaeological or paleontological elements. If, on the other hand, the diagnosis is not concluding enough there is a last step that we can carry out to obtain a definitive result. 4.- Explore the ground to locate the remains of ancient settlements. Avoid buying a piece of land that might contain archaeological remains. Enables conceiving in advance the construction planning so that the archaeological study doesn’t alter the construction’s rhythm. Creates the opportunity to adapt/conceive the project so that it avoids the affected area or to change the construction, demolition or foundation method.